The local school children, artists and historians are beavering away to make new displays for the old station building. ‘Unveiling’ on May 24 – invitations have gone out, otherwise meet at 13.30hrs. 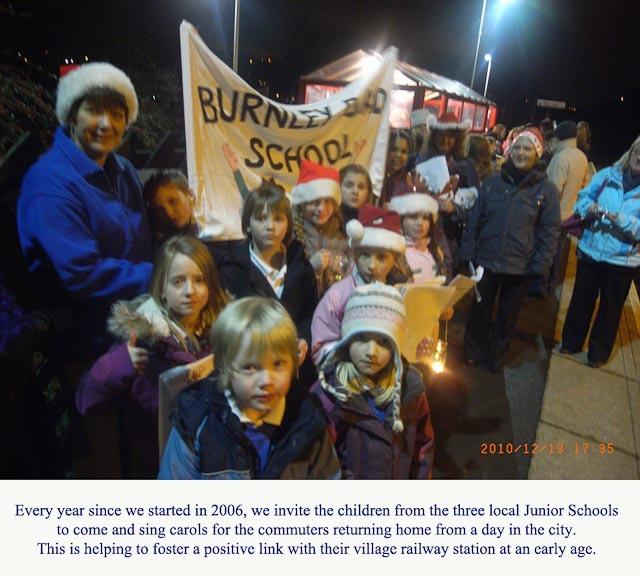 Seems like years ago, as I type this during what might be the only week of summer this year (late March) – but Monday 12 December at 17.00hrs – the next generation of station/rail users from our junior school from Burnley Road and Cragg Vale schools really welcomed the commuters home with their Carol singing – before tucking into crisps and pop provided by Stuart Copley of Northern Rail. Thanks to Secretary Sue and Fr Gott for making it a grand do. 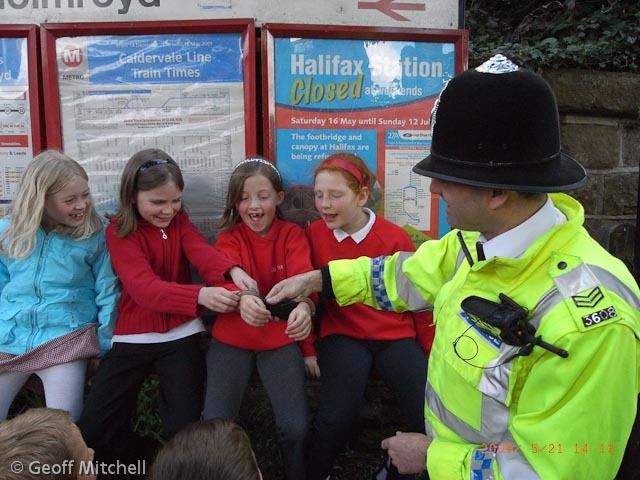 The Mytholmroyd Station Partnership is a voluntary organisation which supports and promotes community involvement at the village railway station and surrounding area. 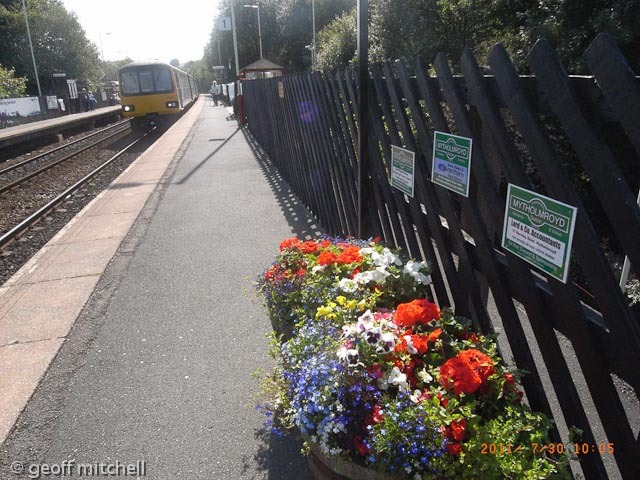 The Mytholmroyd Station Partnership draws together the train operator Northern Rail, the station owner Network Rail, local authorities and users to raise awareness of the railway in the local community, and to promote and market it more effectively. British Transport Police and officers from the West Yorkshire force have provided invaluable support and reassurance since we started on the station project. We welcome new members and encourage everyone to be involved somehow or other and to discuss and develop ideas and arrange funding for local improvements. Normally we do not get involved with train services, and we direct any passengers with comments/complaints to the Customer Service people at Northern Rail who have responded positively. at the Church of the Good Shepherd. Just having a break ! You are most welcome to one or both. 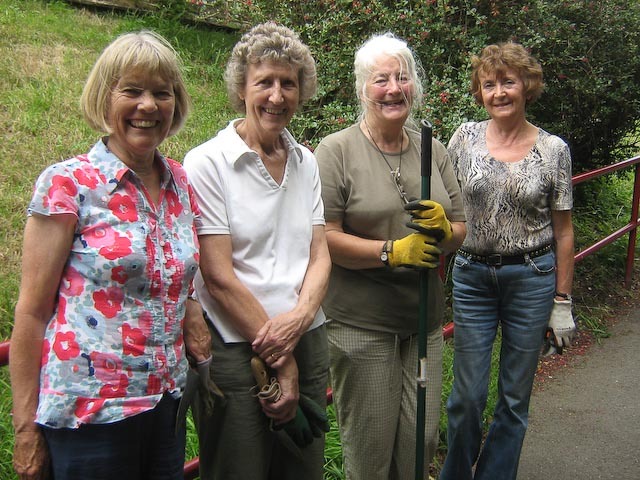 You do not have to be a train enthusiast – we are a mixed bunch of local volunteers interesting in improving our village railway station and surrounding area. Before working on the platforms you will receive a Safety Brief – common sense stuff. NEVER be complacent when near the railways – those trains come down the track VERY quietly.